All roads wend to the city of Kandy this month with the Dalada Perahera or Kandy Esala Maha Perahera procession ready to flow through the streets. Here are some absorbing landmarks, which should feature in the itinerary of anyone who wishes to experience the citadel's modern spirit and ancient soul. The Kandy Esala Maha Perahera procession parades through the maze of streets around the Dalada Maligawa, which have very busy ‘day lives'. Colombo Street, Raja Veediya, D. S. Senanayake Veediya, Yatinuwara Veediya and the Dalada Veediya are always buzzing. Though highly commercial, these streets have colonial façades; solidly built old British buildings in faded cream, white, pink or blue. Some are quite elegant with wooden railings and globular lamps. These streets are fascinating as here commerce jostles for place with heritage, while the modern share a space with the ancient and hallowed. This is exemplified by the ancient temple of god Kataragama whose entrance is flanked by small shops, passed by thousands daily. 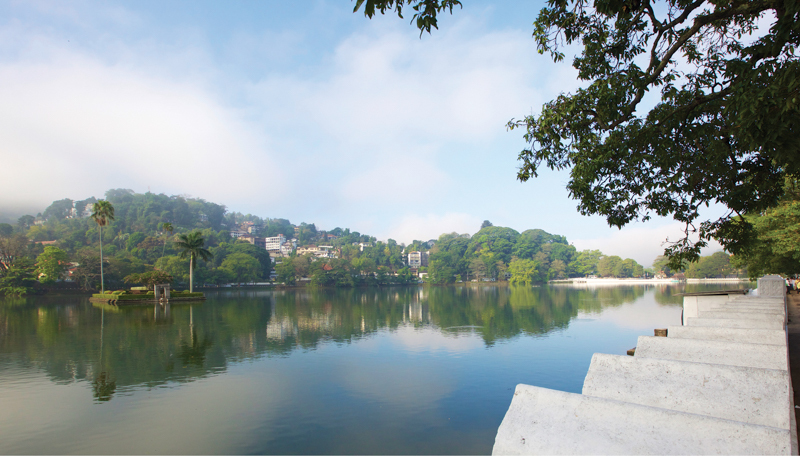 The quaint Lake is the very spirit of Kandy, around which the entire city has closely organised itself, while clinging to the slopes of hills. Built in 1807 by the last king of Sri Lanka, the tranquil lake cools the city. It is surrounded by 'the cloud boundary', a beautiful stylized white wall. The pelicans float dreamily around the small island in the middle, which originally housed the royal summer house for the queen and the ladies of the court. You can jog or stroll around the lake; it is shaded with brooding trees. This was once the royal forest. 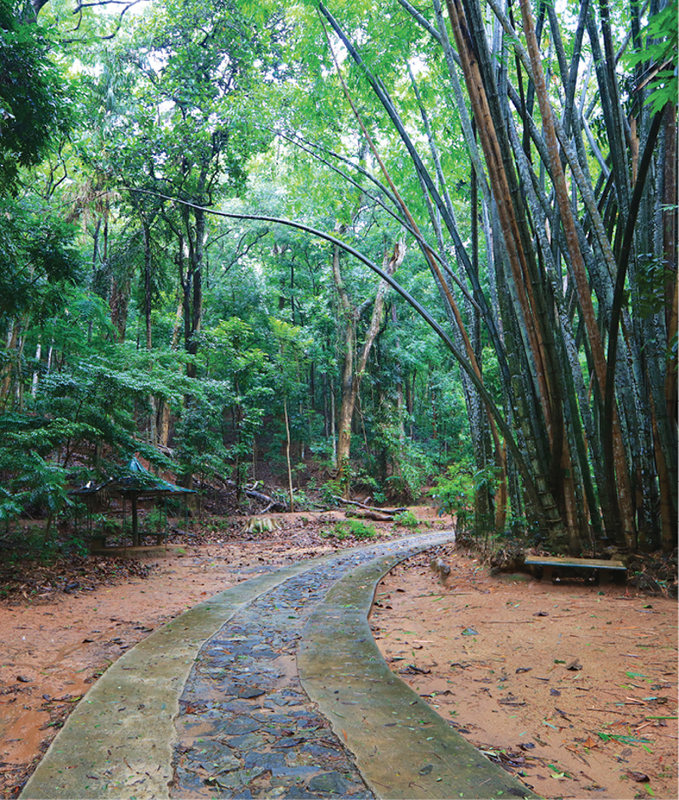 Protected by the kings of Kandy, the sanctuary lies proximate to the heart of the city. In fact, you see it just above the roof of the Temple of the Sacred Tooth Relic - an intriguing, green wilderness. It is shady and beautiful within. Endemic birds flit and chirp, their calls reverberating in the stillness. A pond once graced by the royal family is thickly fringed by groves of giant bamboo trees. It is a quick snip away from the town where you can immerse yourself in absolute peace and solitude. 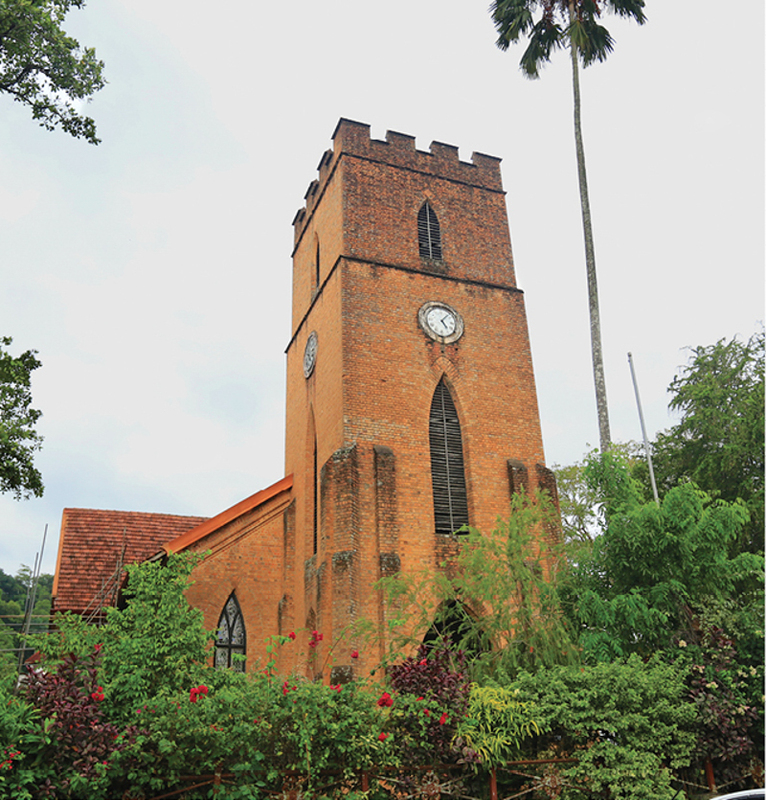 This landmark is a relatively recent addition to Kandy. The temple was opened in 1972 while the immaculate, white Buddha statue was unveiled in 1993. From its high vantage point the giant Buddha statue surveys the whole town. It has become a sacred beacon. 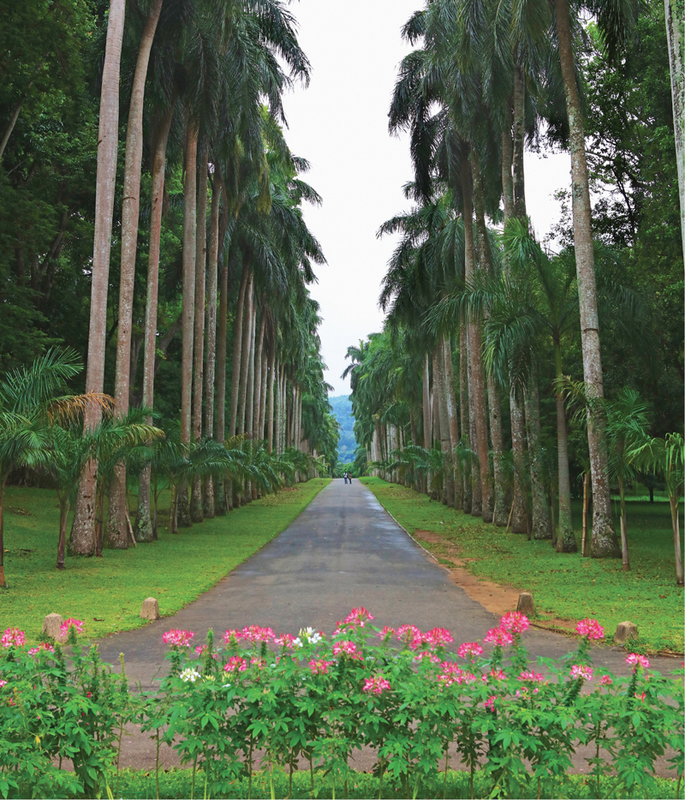 The Peradeniya gardens, covering a spanse of almost 150 acres, is a paradise where each tree is a part of a wild, majestic landscape. Here one will discover absolutely gigantic trees soaring up impressively to hold dark canopies, acres of flaming flowers and avenues lined with colonnades of giant palms. Roman ponds, the orchid houses where a hundred hues and patterns mingle, dark groves of bamboo as well as great undulating grasslands dotted with copses sway on the river banks as the Mahaweli River whispers by. 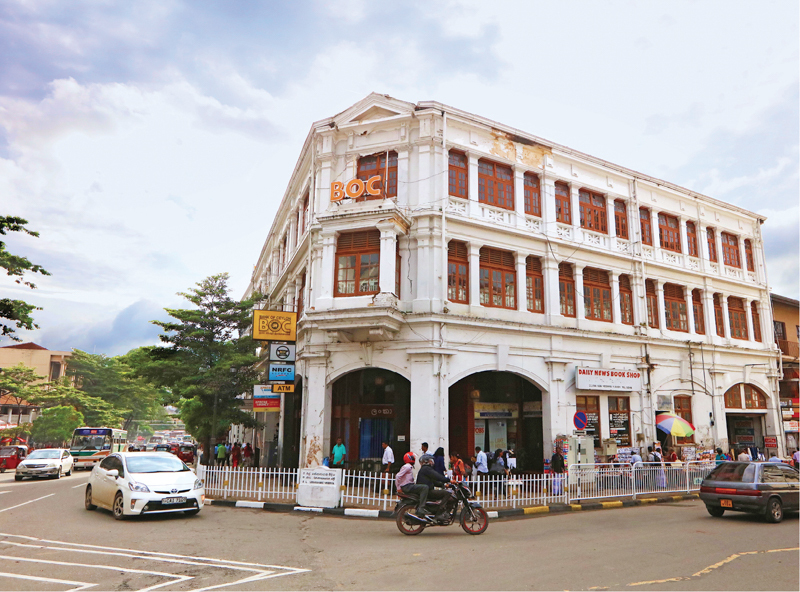 In the very heart of Kandy city sprawls a massive, hefty fort-like building, a one-of-a-kind grand mall in Sri Lanka. It is a fusion of traditional Kandyan architecture and modern minimalism. The Kandyan roofs of clay tiles and wood have been recreated, gigantically, in clear glass and metal. This commercial and retail complex features chic brands, leading banks, a supermarket, a variety of restaurants and an entertainment zone whose high point is the roller coaster. The sophisticated food court in the mall offers a smart culinary tour from India to Italy, passing through many exotic palates. The splendid Anglican house of God looms with all the mystery and majesty of a medieval abbey, sharing a boundary with the Maligawa. This is probably the only terracotta brick building from the British times. The communion set still used in this church is a silver-gilt one that was sent over by King George III of Great Britain. The chapel was inspired by the ancient Sri Lankan architecture of the Polonnaruwa and Kandy Kingdoms. Finished in granite it has 54 hand-carved columns with wooden pillar caps. Absorb the murals by David Paynter, biblical stories brought to life in the Sri Lankan setting. With traditional wood cravings on columns, one would find the coats of arms of Eton and some Oxford colleges which financially contributed to the chapel. 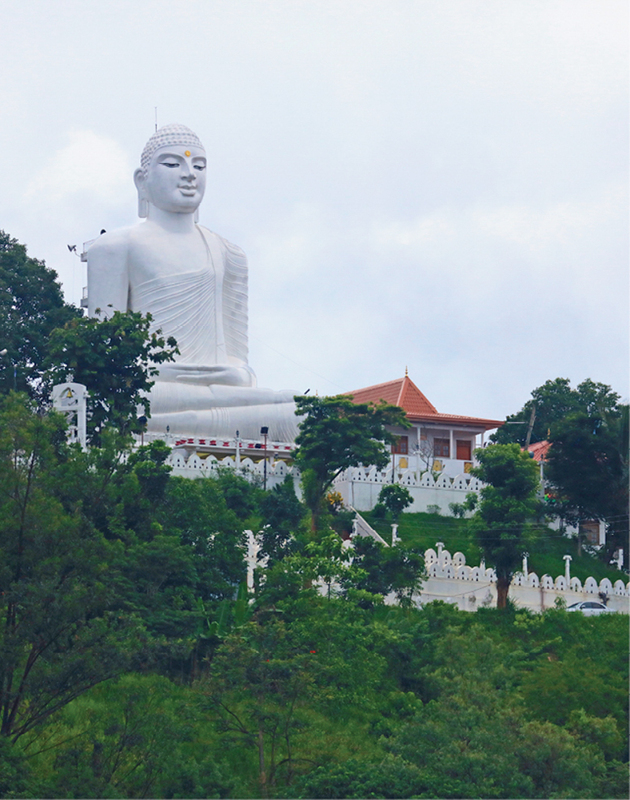 Dalada Maligawa, the Temple where the Supreme Buddha's sacred Tooth Relic is placed, is the majestic jewel of Kandy. The Temple, which is a fine display of Sri Lankan artistry, is venerated by Buddhists across the world. Within are awe-inspiring carvings and Kandyan era paintings. The city is enlivened by the vibrant Dalada Perahera or Kandy Esala Maha Perahera from July 29 to August 8, 2017. The procession is a tradition continued for centuries. Discover the wonders of the Maligawa in 'Dalada Perahera - A Majestic Heritage'. Built like a noble Kandyan manor, one storied, but large with polished wood roofs, doors and stone floors, the museum is a treasure trove and a gallery of priceless art. Its entrance is flanked by elegant stone carvings of mythical beasts. There is a beautiful collection of everyday objects yet, fascinatingly, most of the collection includes masterpieces that are utterly impossible to value, both intrinsically and historically. 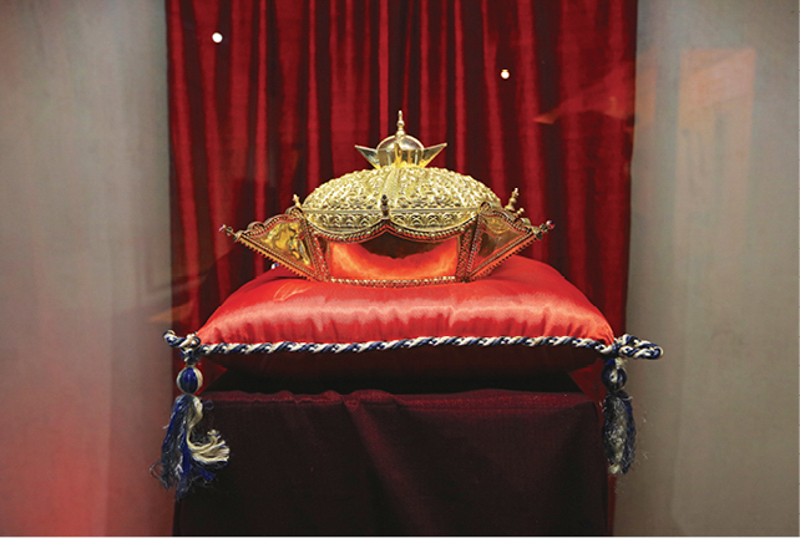 They range from the regal crown of the Kandyan King, carved silver boxes to jewellery and exquisite little ivory figurines wearing traditional Kandyan clothing. More than anything, this museum gives life and breath to old royal Kandy.